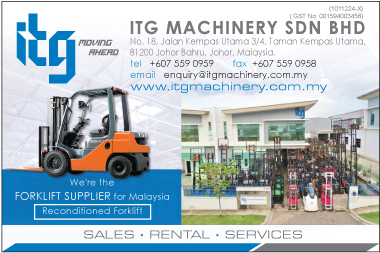 ITG Machinery Sdn. Bhd. 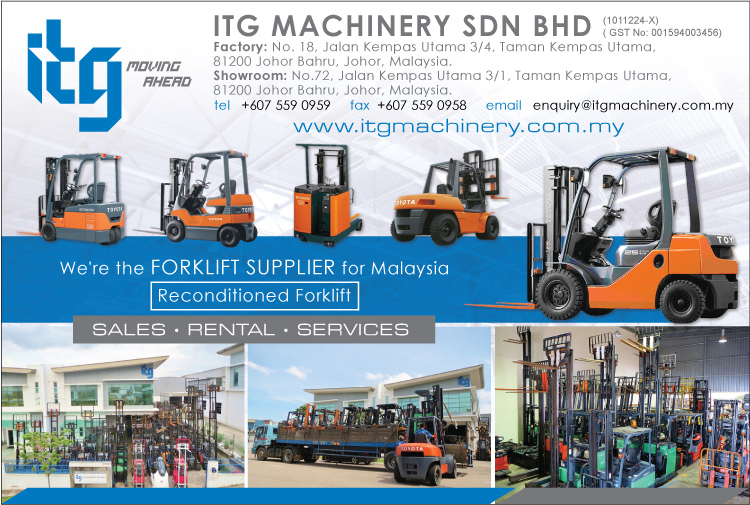 was incorporated in year 2012, the team has more than 10 years’ experience in this industry, and we have a vision to become a regional market leader in material handling equipment industry. At ITG, our beliefs are best summarized in three core values: Integrity, Commitments to stake holders, and Passion for excellence. We rely on these values every day, throughout the company, to set clear expectations, guide decisions and actions, and measure progress. They help us not only build our personal success, but the successes of our teams, business units, and company as a whole.